Enjoy this vintage-dated bourbon of a bygone era, distilled and bottled from barrels of yesteryear at Buffalo Trace Distillery. 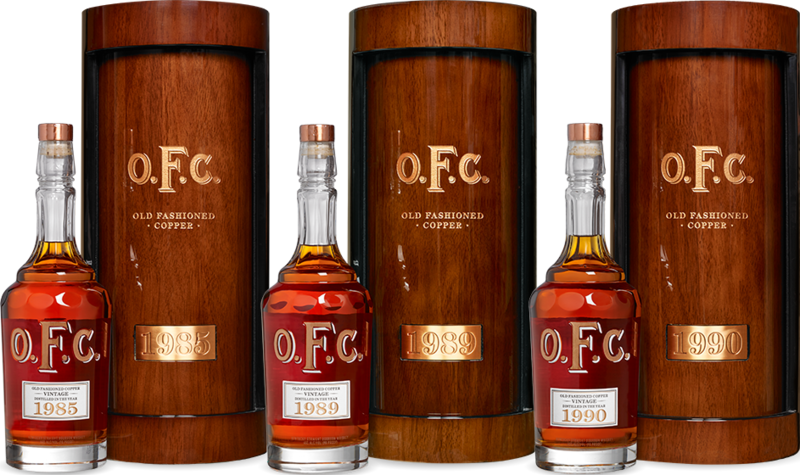 Straight bourbon whiskey must be aged in oak for at least two years, but these O.F.C. releases matured much longer. Recipe and age will vary by vintage, but many are expected to mature for twenty years or more. Barrels are evaluated regularly and some whiskey will be removed from the barrels as taste reaches the peak of flavor. Each hand-cut crystal bottle is vintage-dated according to the specific year in which the bourbon was distilled. Colonel E.H. Taylor Jr. christened the O.F.C. 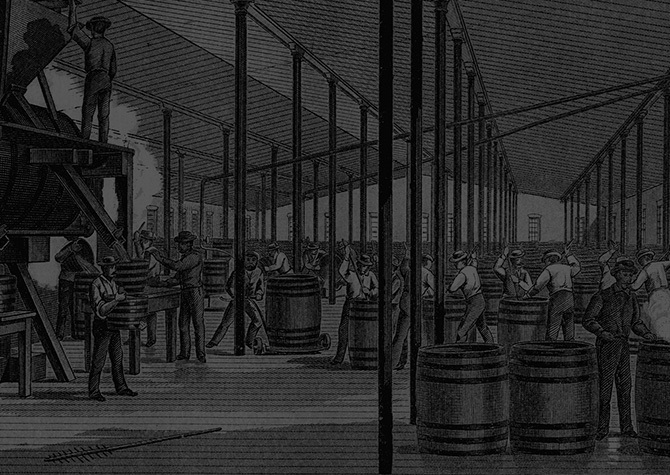 Distillery in 1870 and this legendary whiskey brand has been revered ever since. 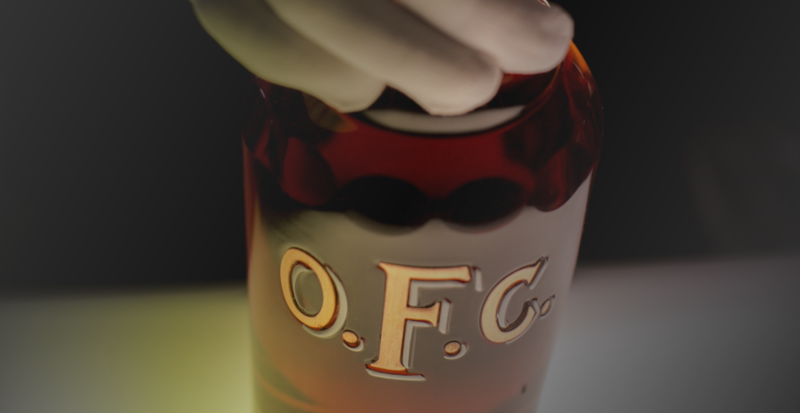 This very rare and collectable bourbon honors the O.F.C. Distillery, a National Historic Landmark that is known today as Buffalo Trace Distillery. The most state-of-the-art distillery of its era featured copper fermentation vats, column stills, and a first-of-its-kind steam heating system that is still used to make award-winning bourbon whiskey in our aging warehouses today. O.F.C. Vintage whiskeys are each presented in a beveled crystal decanter inlaid with actual copper lettering. Buffalo Trace Distillery is an American family-owned company based in Frankfort, Franklin County, Kentucky. 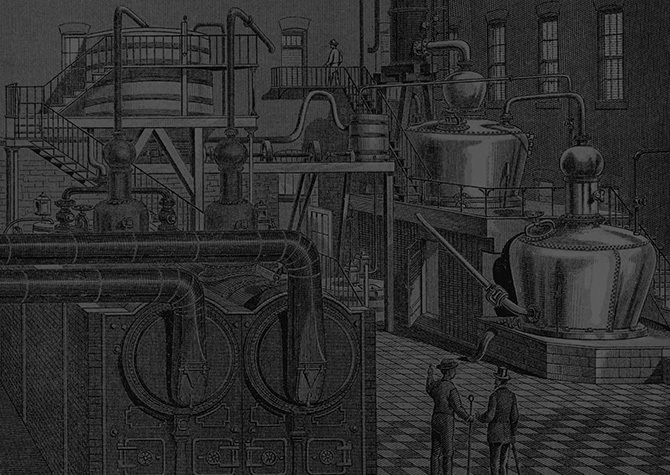 The Distillery’s rich tradition dates back to 1773 and includes such legends as E.H. Taylor, Jr., George T. Stagg, Albert B. Blanton, Orville Schupp, and Elmer T. Lee. Buffalo Trace Distillery is a fully operational Distillery producing bourbon, rye and vodka on site and is a National Historic Landmark listed on the National Register of Historic Places. The Distillery has won 21 distillery titles since 2000 from such notable publications as Whisky Magazine, Whisky Advocate Magazine and Wine Enthusiast Magazine. Its Col. E. H. Taylor, Jr. Four Grain Bourbon was named World Whiskey of the Year by Jim Murray’s Whiskey Bible 2018. Buffalo Trace Distillery has also garnered more than 500 awards for its wide range of premium whiskeys. ©2018 Buffalo Trace™. All rights reserved.